1- SEO Analyzer – This is perhaps one of the easiest and the fastest tool that I have used so far. SEO Analyzer conducts a full website analysis in just a few seconds and provides a free downloadable report. SEO analysis is important for any website owner as it details how website ranking can be improved leading search engines. The analysis generally focuses on factors such as duplicate content, inbound links, and URL structure. Technical SEO factors like the presence of keywords in the heading, title or image. 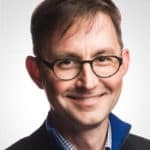 Presence of dynamic URL’s or Iframes. The overall impact of social media shares. Total number of indexed pages. Top keywords and their frequency. 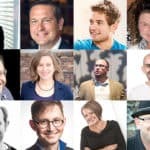 Page level SEO recommendations etc. 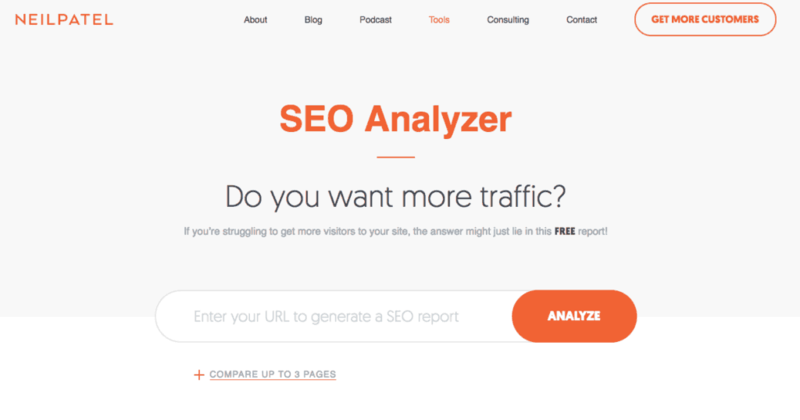 If you are looking for a tool that instantly scans your client’s website and provides an initial SEO report for a quick consultation then Neil Patel’s SEO Analyzer is the best tool that you can use. 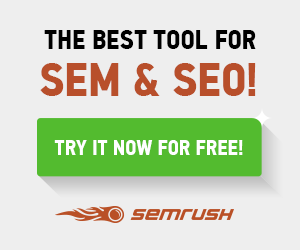 SEO Analyzer makes optimization analysis easy. 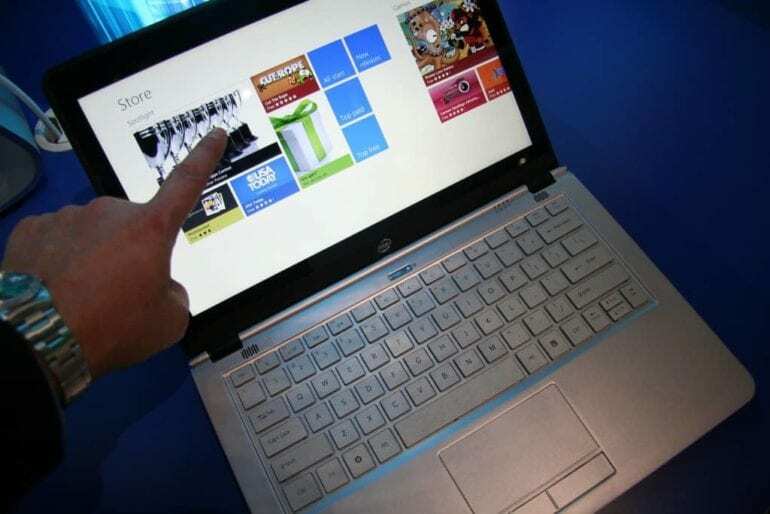 It can generate a report that provides detailed analysis of your website. 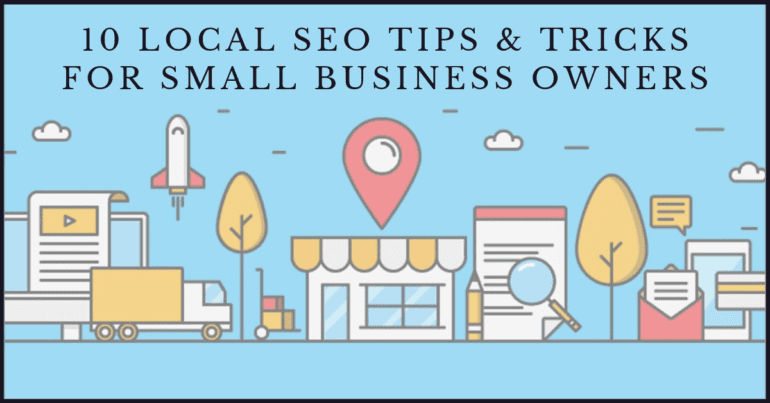 The report will help you identify the errors in your SEO strategy so that they can be fixed to drive more traffic to your website and give your rankings a shore up. 2- Link Research Tools – This tool is being used by big brands like LinkedIn and Ebay. 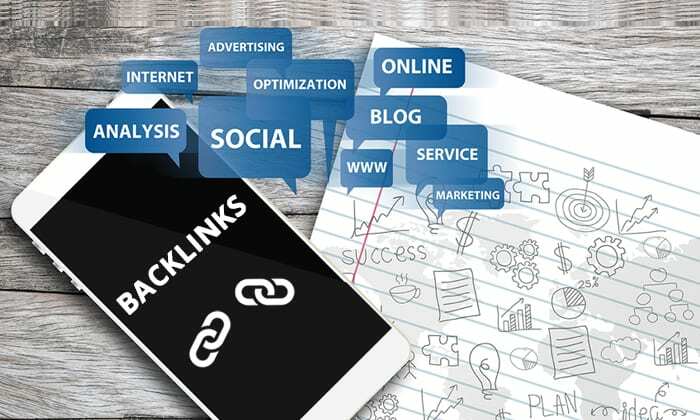 LRT provides a comprehensive backlink audit report that you can use to better plan your online marketing strategy. 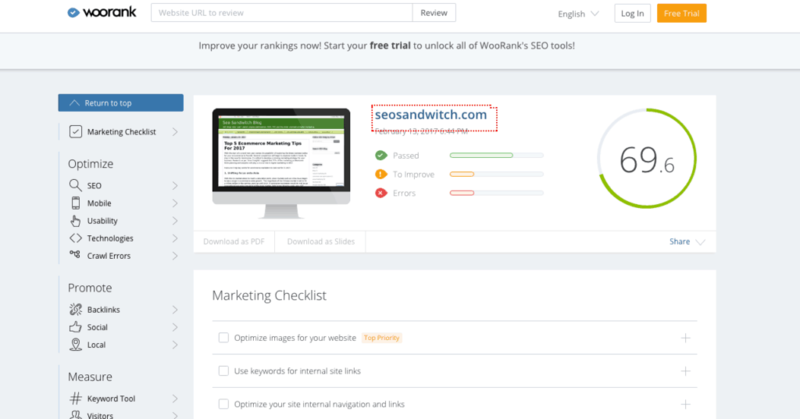 Unlike Ahrefs and SEMrush, Link Research Tools provides a 360 degree view of the backlink profile and generates a new crawl with every new report you create. This is unlike any other link audit tools that are available in the market. 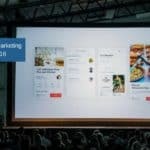 Provides Link Alerts (LA) that automatically scans the web for new links; collects link data from 24 link sources and sends you an email notification when it detects new links. In case, any site receives a Google penalty, this tool helps to even make Google take notice of your disavow file faster by helping links getting crawled to help you speed up the recovery process. growth of your competitors and understand what is normal for your niche in the eyes of Google. 3- WooRank – Another great tool to perform a thorough analysis of the website. Woorank help to identify and optimize the important SEO elements. SEO element and lets you check the status of each one of them. Analyzes the compatibility of the website on mobile. A separate usability report provides insights on the page size, load time, structured data markup, favicon etc. Identifies the top backlinks pointing to the site along with the top social shares and local directory visibility. A special visitors tab provides relevant traffic estimates as compared to the competitors. 4- SEO Optimer – This tool helps to instantly scan a website and grade it as per the 5 important metrics that are SEO, performance, UI/Mobile, social and security. 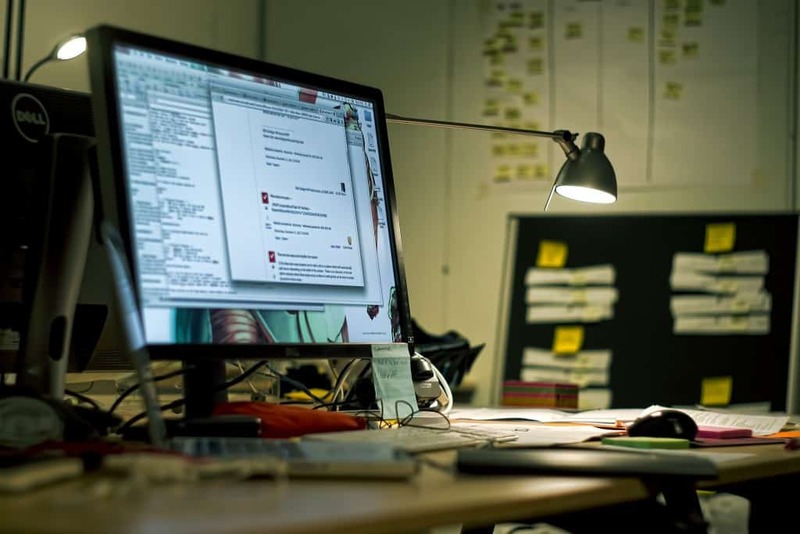 Depending on the grades that have been assigned, improvements are recommended that you can immediately implement to further optimize your website. It identifies and analyzes the top SEO technical ON page elements like header tags, meta tags, body content, text to HTML ratio, sitemaps, presence of robots file, analytics, broken links etc. you can reduce it down in order to increase the overall speed of the site. It calculates the total number of Likes, Shares and Comments about your Domain. It checks for SSL, email privacy and other factors for strengthening the security factor for a stronger site optimization. 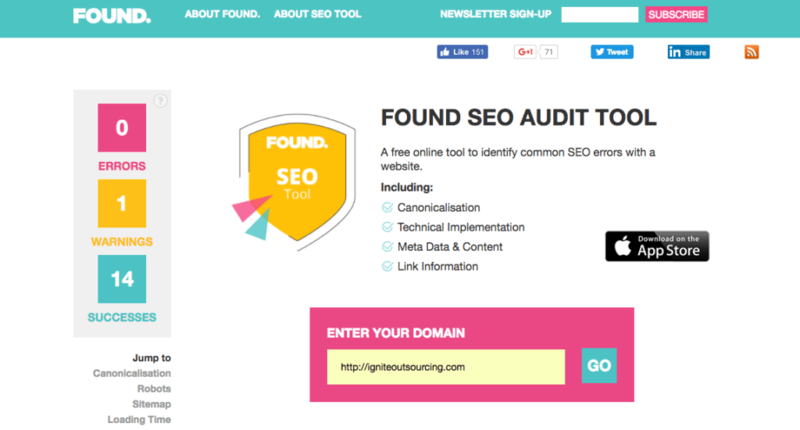 5- Found – Probably a new SEO tool that very few marketers are aware of. 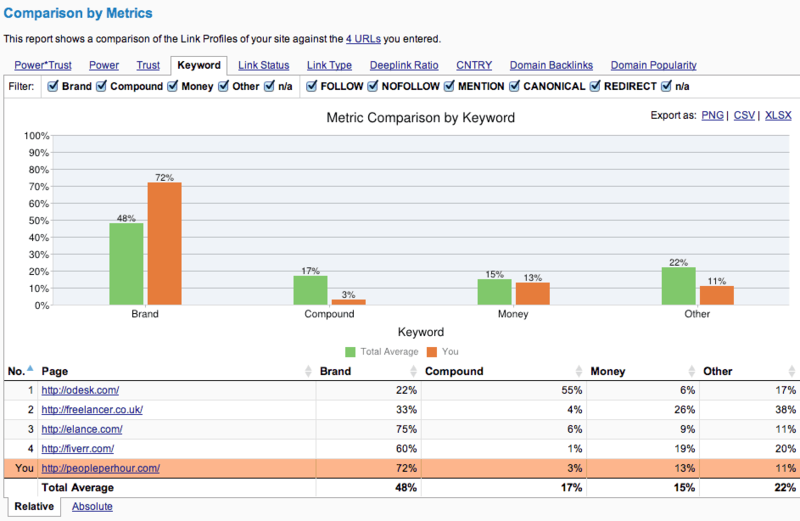 The Found website analyzer checks for the SEO factors that have the biggest impact on the organic search rankings. It identifies the common SEO errors like canonicalization, meta data, load time, sitemaps etc. It provides a summary of ON page link analysis like image links, nofollow links, missing text content, missing title attribute etc. You can see the strongest inbound links along with the full link metrics. This tool is also available on App and the reports can be easily downloaded as a PDF. Website analysis is an important part of any SEO strategy and a poor analysis leads to an incomplete SEO plan. 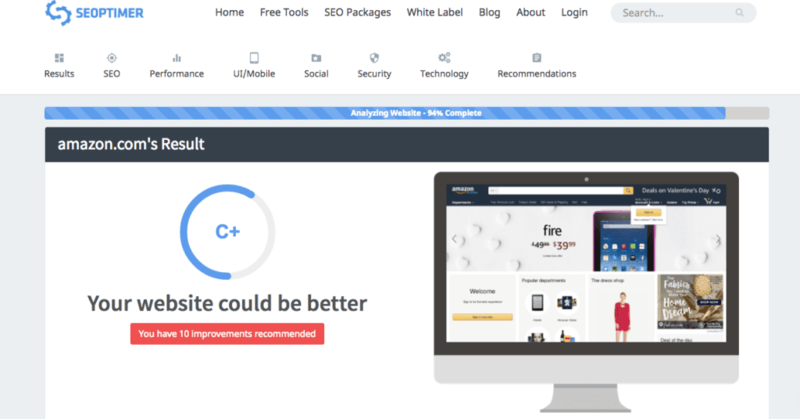 The use of right tools for analyzing a website will help you to get accurate insights into the most pressing changes that you need to implement in your site to get the best results. Do you use any other SEO tools to analyze your website? Please share with us in the comments below.